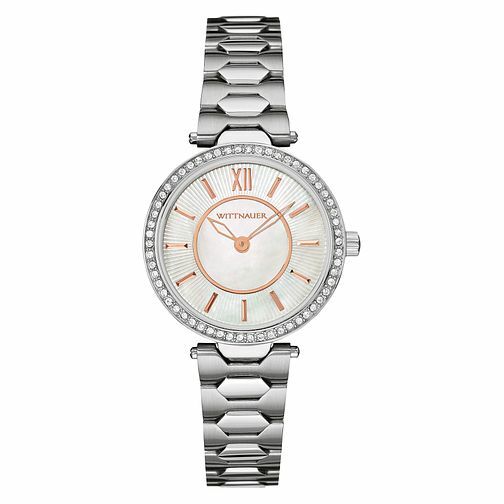 From Wittnauer's Taylor collection; this stainless steel piece exudes soft feminine beauty. The rose gold coloured accents on the dial offer a perfect warm contrast to the high sheen steel. These details are accompanied by a mother of pearl dial and a crystal studded bezel, making this a classic yet contemporary timepiece for everyday.